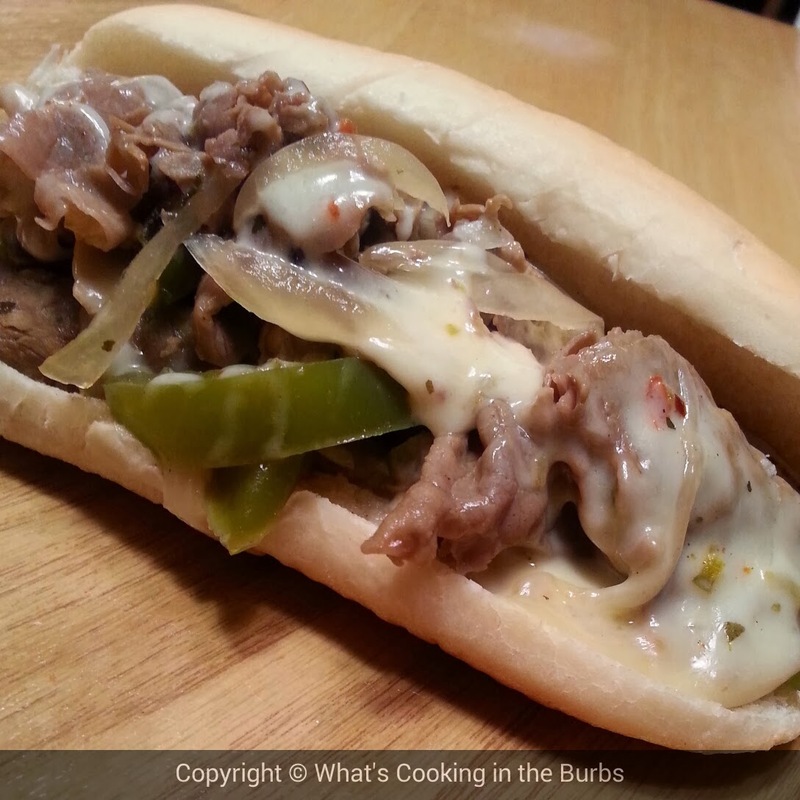 So, these aren't the traditional cheese steak sandwiches but man, are they good! They make a great meal for the weekend. Thin sliced beef simmers in the crock pot along with beef stock, peppers, onions, and topped with a pepper jack habanero cheese. If you really kick up the spice factor, add in some jalapeno peppers. Either way you are sure to enjoy them! Add sliced meat to the crock pot along with the peppers, onion, red pepper flakes, and beef broth. Add Worcestershire sauce. Cover and cook on low for 6-7 hours or high for 3-4. Spoon meat onto sliced french rolls or other favorite bread-item.Top with sliced cheese. Broil for 3-4 minutes or until cheese is nice and melted. Enjoy! These looks so ooey gooey good. Thanks for sharing at Simple Supper. This looks delicious! And I love a crock pot recipe. Thank you for linking to the In and Out of the Kitchen Link Party. Hope to see you next time.